There are many views on how to grow a bonsai tree. However, there is no perfect way. People master the skills of growing a bonsai with time and experience. It is a great pastime and one will definitely get great pleasure from it. If you are fortunate to have someone experienced to teach you it is excellent. However people manage to grow a bonsai with the help of books and the internet. By whatever means you learn you have to bear in mind that you are dealing with something that has life. 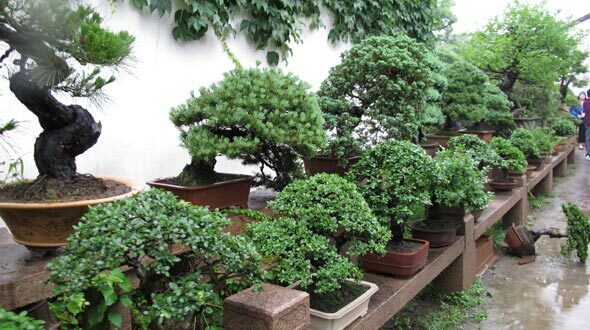 Find out more about the various kinds of bonsais. You can broadly classify them as the classic and the informal ones. In any classic bonsais you will notice that the tree is wider at the bottom and gets narrower on top. It is quite hard to achieve this. However you can choose the informal style that is very easy to accomplish. Here you trim the tree in such a way that it look like a miniature version of the same tree that grows naturally. To achieve this observe how the trees look and try to mimic them. You could either create your bonsai by sowing a seed or by getting a young plant from the nursery. If you are doing it for the first time then getting a plant would be a better option. Just make sure that you buy the plant from someone trustworthy. If you select a healthy plant the results will be more successful. If possible buy a starter kit as well for it will contain everything that is necessary to grow a bonsai. You will also require a low container, specific equipments and fertilizers. Also think of which plant you wish to begin with. Growing a bonsai is a very pleasurable pastime. If you have mastered the basics, there are a number of advanced practices too to be learned.